Job offers have been made to more than 130 local nursing students who are set to qualify this summer. A total of 132 people who are in their final year of study at the University of Hull have just been offered permanent roles working at either Castle Hill Hospital or Hull Royal Infirmary. Interviews have taken place over three days, following a highly successful recruitment event held at the University back in January. Job offers have now been made to the student nurses subject to successful completion of their nursing degrees later this year. “Hospitals across the region are competing for a limited number of newly qualified nursing staff each year, so to have interviewed and be in a position to offer jobs to more than 130 of those is fantastic. “We have worked really hard in the last year or two to improve the image of our hospitals, to create a better culture within the organisation, and to promote some of the amazing work, research and developments which take place here day after day. Over the coming weeks and months, the Trust will continue its drive to attract newly qualified nursing staff by developing further links with educational providers. In addition to the work already carried out in Hull, the Trust has also been asked by a number of providers across the North of England to attend other recruitment events, as they have heard such good things about Hull University Teaching Hospitals NHS Trust. “I am delighted with the level of interest shown in working for Hull University Teaching Hospitals NHS Trust at the university recruitment fair. This was really encouraging, and my colleagues and I have been extremely impressed with the calibre of the nursing students we’ve met so far, so it’s great that this has now translated into real job offers for people living and studying locally. “We know each of those nursing students that has been offered a job will have a particular passion or area of clinical interest, so where we can, we have offered people roles in their preferred areas of work. There has been a high level of interest in emergency care, cancer and elderly care, for example, so these are just three of the specialties which are likely to benefit from additional staff in the coming months. Professor Julie Jomeen, Interim Dean for the Faculty of Health Sciences at the University of Hull, said: “We are delighted that the recruitment fair for Hull University Teaching Hospitals NHS Trust has been such an overwhelming success. “A key aim of the School of Health and Social Work, Faculty of Health Sciences at the University is to provide a high quality workforce for our region and we are working hard with our partner NHS organisations to realise this aspiration. “This outcome is therefore extremely positive and an indication that the University and NHS organisations are working together successfully to support the future provision of local healthcare. Gemma enrolled on the University Certificate in Health and Social Care Practice, which provides a qualification-free route into higher education for health related subjects at the University of Hull. 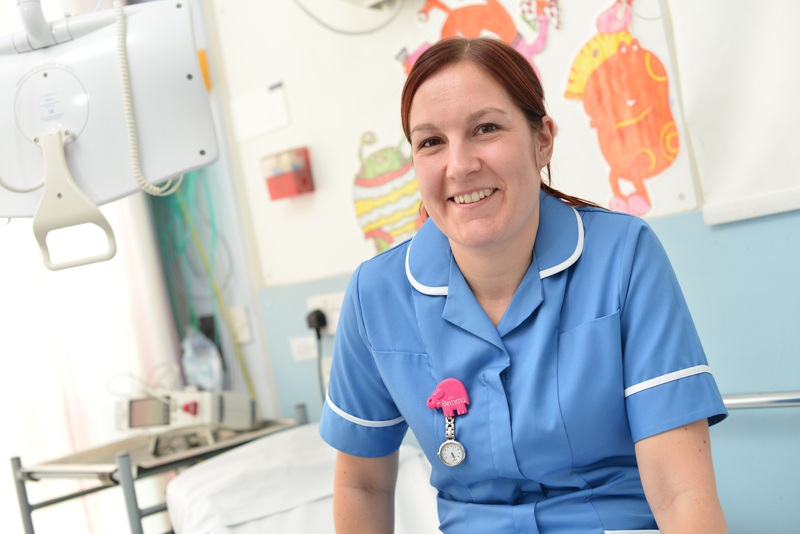 After completing the Certificate, Gemma progressed onto a specialist child nursing degree. Then, during her final year, Gemma secured a job as a children’s ward nurse at Hull Royal Infirmary. Now fully qualified and putting her skills into practice, she is loving her new career. She said: “It’s really rewarding. When you have a poorly child come onto the ward and you spend time caring for them it’s really good to see them going home healthy and happy. The icing on cake was discovering she got a first in her degree.